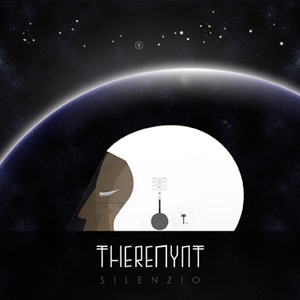 After their first track Wonder on compilation French Electronic Underground (Neopren 2011), Theremynt duet is pursuing his pop synth quest with a new ep Silenzio , also part of their forthcoming album Space Control due to come out on record label Neopren next spring. Theremynt is an artistic duet composed of Jan Richard and Eva Peel ex- drummer in an indie-rock band, Jan has progressively neglected toms and charley to devote himself to synths and machines along with music partner Eva Peel. Eva Peel both singer and a Dj also works as a multimedia artist (producing videos & images represented by Gallery Moretti & Moretti-Paris). Theremynt is an electronic experimentation inspired by various musical trends that they have in common such as: krautrock, space disco and all kinds of progressive sounds, in addition with more dancefloor styles (acid-house, new beat, cosmic disco). A SIDE *Silenzio* .. is an ethereal and synthetic track with italian vocals sung by Peel, sort of a tribute to 80s italian cosmic disco- followed by a remix by french artist Marc Lapeyre aka *The Fk Club*, a DJ- producer from Marseille who released his first album in 2010.